If you were to scroll through the timeline of social media, you would see that the content shared by individuals and companies has changed dramatically over the years. Blogs evolved into Facebook updates (except highly important blogs like this one you’re reading, of course). Facebook updates evolved into 140 character tweets. Tweets evolved into Instagram snapshots. And Instagram snapshots evolved into 10-second Snapchats. As our lives get busier, convenience and ease in communication is becoming a priority. Short, interesting bites of information and visual content provide just that. As a result, social media has become less about reading and more about viewing. Whilst platforms like Pinterest, Instagram and Snapchat are all dedicated to sharing visual content, this ‘visual revolution’ can be seen across all social media platforms. People no longer communicate how happy they are through words, they communicate using a happy photo, emoji or GIF. In fact, people want to see exciting visual content in every part of their lives – there’s a reason why Pokémon Go is so popular. 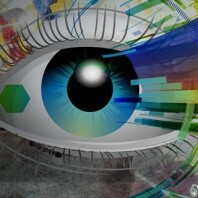 So, why should the social media visual revolution matter to you? Visual content has an unequivocal impact on reach and engagement. Not to bore you with stats, but content with relevant images gets 94% more views than content without relevant images. The saying ‘a picture is worth a thousand words’ has never been more relevant. Also, between April 2015 and November 2015, the amount of average daily video views on Facebook doubled from 4 billion video views per day to 8 billion. The demand for visual content is becoming hard to ignore. And it’s not just now, the visual trend is set to continue into the future. Syndacast predicts 74% of all Internet traffic in 2017 will be video. And if you’ve just got your head around the hashtag, you may want to look away now. Twitter hashtags are set to evolve into Twitter stickers – a visual adaptation of the famous social media symbol. All social media platforms are introducing new easy-to-use tools for providing visual content to users, so there’s no excuse. Hit record, snap some photos and join the visual revolution. If you need some expert advice and guidance on your social media, give us a call on 0161 973 6763 and we’ll be there to guide you. ← PR and advertising – do you know the difference?